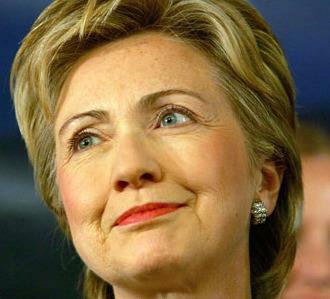 US Secretary of State Hillary Clinton has launched a new US-Pakistan women’s council. Hillary Clinton announced last week the US State Department’s decision to launch a new women’s council in Pakistan. The women’s council is set to encourage and support the economic growth and status of women across the country in collaboration with the Organisation of Pakistani Entrepreneurs of North America. In a press release, the US State Department announced that American University in Washington will co-fund the council. “The council will connect US and Pakistani corporations, foundations, universities, and individual donors with programs in Pakistan that support economic opportunities for women – such as training in financial management, product development, market access, entrepreneurship, and leadership. The council will not be a grant-giving organisation, but rather will broker connections for collaboration to support such economic opportunities for women,” said the State Department. The council is made up of advisors and officials from both sides of the continent, including Foreign Minister Hina Rabbani Khar, and Pakistan’s Ambassador to the US Sherry Rehman. The purpose of the council is to provide Pakistani women with direct support and advice from already well established entrepreneurs from a Pakistani background. Women in Pakistan have long been struggling for equal opportunities within a strict patriarchal society. Clinton, a strong advocate of women’s rights across the world, is hopeful that the council will bring new opportunities of prosperity to women in Pakistan.